28mm Victorian Warfare: Another year on the clock! Another year on the clock! Well another birthday has come and gone, but is there anything more miserable than it falling at the start of a week that promises to be both long and tiresome? Still I am looking forward to the weekend when I hope to persuade the 'Saintly Mrs. Awdry' that a frighteningly hot takeaway curry is far more beneficial, calorifically, than cake! This coupled with a jar or two of foaming ale should rather brighten my spirits. Speaking of the lady of the house, she has once again spoilt me rotten and I was hugely fortunate to have several, beautifully wrapped packages waiting for me as I padded downstairs to switch on the kettle on Monday morning. 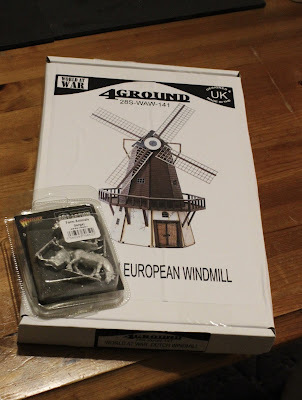 Once I had beaten off the dinosaur guardian, I kid you not, I was delighted to find some hobby related goodness and as a result see a return to the Witchfinder project in the new year. That said all things Star Wars have really caught my imagination of late and as some will recall, I have been thoroughly enjoying ‘Imperial Assault’ and a regular Wednesday game of ‘X-Wing’ during the school club. This coupled with me wittering on about my Star Wars action figures of yesterday has resulted in another rather splendid present, Steve Sansweet’s, ‘Star Wars: The Ultimate Action Figure Collection’. This is an amazing book, but I have to confess that I wasn’t prepared for the sheer volume of ‘new’ variants and must try and resist hunting some down on eBay! Sadly, I have to report that there hasn't been much in the way of painting of late and looking across at the paint table, I see that there is unlikely to be another entry for ‘Dinovember 2017’. Once again it has been great fun to indulge my predilection for all things prehistoric and I thank all those that offered kind words of encouragement along the way. So with news that the ‘VIII Annual Analogue Hobbies Painting Challenge’ is due to commence next month my attention will undoubtedly turn to prepping and planning. I had thought that I might give this a miss, particularly as my painting output has rather fallen off a little of late, but I felt an inexplicable draw when the call to brushes was made. As a result, I have thrown my hat into the ring once more, but for a very modest 500 point target score. More news of this in due course. Your curry and beer tonic sounds like a plan, although cake is also very good. Happy birthday and I am glad to hear you have answered the 'call to brushes'. Me and my brother used to have stacks of the old Star Wars figures, they're hopefully sat up in my Dad's loft still? Must be worth a fortune!! Happy birthday, curry, beer and cake, it's only once a year, no doubt your planning your wonderful vignettes for the bonus rounds! A belated Many Happy Returns Michael! Sounds like you had a good day. Star Wars is one of my weak spots too, although I have managed to resist Imperial Assault so far but have “invested” rather too much in X-Wing and Armada! Happy Birthday Michael! 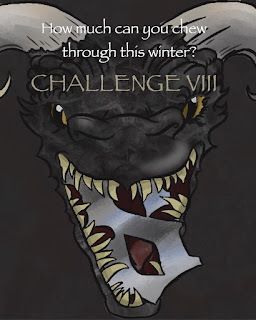 Looking forward to see what craziness you come up with in the challenge. 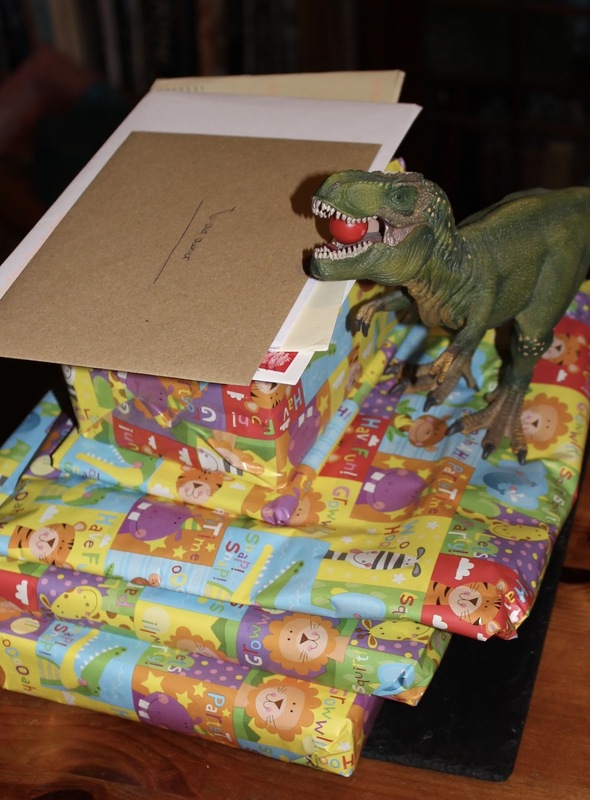 Belated Birthday greetings and what splendid gifts! Many Happy Returns good sir! Happy birthday Michael and best wishes! Happy Birthday my friend, and may the next twelve months be even better still. I`m sure your lovely wife made your special day even more divine by her diligent care and attention. Presents, mmmmm.. the windmill looks nice, and books, Oo books are always nice. Curry sounds essential and... well, it all sounds jolly awesome Michael. Happy birthday, old chap! Your wife sounds like a gem, buying you those goodies. I hope you get to round everything off with a curry hot enough to fell a Tyrannosaurus. You could have told me Monday it was your Birthday Michael, anyway: congarats mate have a good one! Happy belated Michael! Looks like a fine collection of 'needed' items were received! Happy birthday Sir Michael! My best wishes to you and your family! Happy birthday mate! 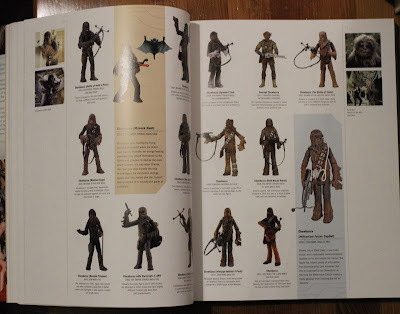 I notice Greedo lurking in the top corner of the figure guide. As a child I collected the action figs voraciously and for a number of packet tokens you could get a free Greedo. I ended up with SEVEN of them, far more than I had stormtroopers which was loads of fun. Han didn't stand a chance in a gunfight, regardless of who drew first. Happy Birthday! As always I will be very interested in seeing what you do in the challenge! As your medical adviser I'm not sure I can guarantee your safety if you neglect your curry intake. Happy birthday! Looking forwards to the challenge! 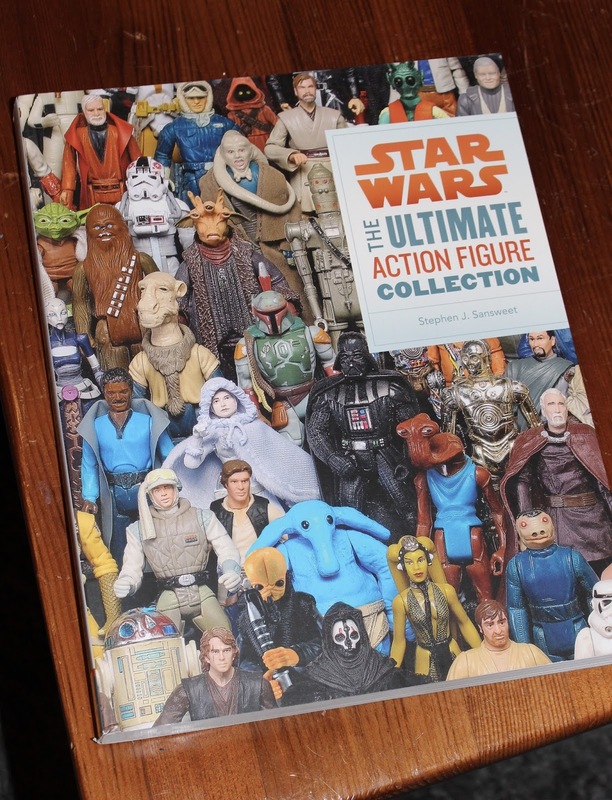 Happy birthday!, and cool star wars book! Sounds like a brilliant day and a good haul. Well done, my friend, and all the best for many years to come! Very best wishes, Michael. Nice haul - it's always good when your partner accepts your hobby and provides thpughtful gifts. You're a very lucky man. Happy birthday, Michael! The Star Wars action figure book looks amazing. Like something I'd better stay far away from lest the ebay monster get me. Happy Birthday Michael, and warm thoughts to a lovely kind man who deserves lots of good things. Michael, a very, very late Happy Birthday and a very, very early Merry Christmas. I am going through the list notifying those who have shown an interest in my book, to send an email to kerstinsmith1234@gmail.com if they still want to order. thank you so much for your kind words and best wishes. More updates to follow soon. And that Star Wars books is an awesome present!!! Lost Giants of the Congo.